Faux suede booties. 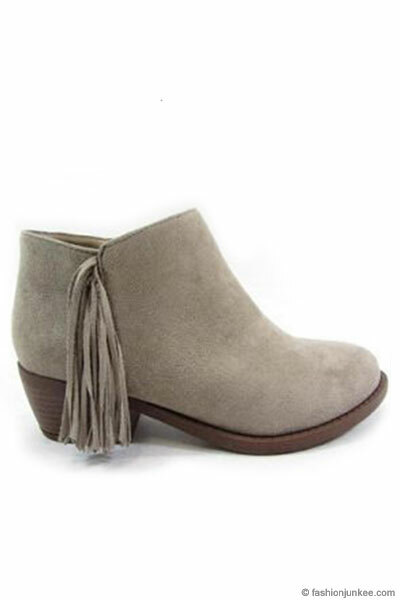 Chic and simple design makes this the perfect bootie that will go great with any outfit. 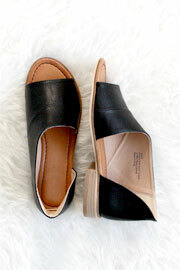 Low stacked heel gives you just enough height while still remaining comfortable. Faux suede material. Fringe detailing on the sides for a boho touch. Stylish but still comfy enough to run around in all day. Pairs perfectly with a boho dress or distressed jeans. Complete your look in these lust-worthy bohemian booties.